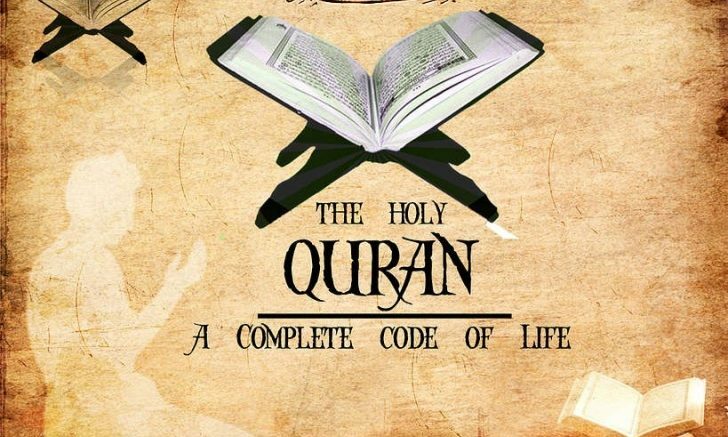 We can never understand the true importance and the value of the Holy Qur’an. And, it is important that we always remind ourselves of this great gift Allah has given us. The Qur’an was in existence long before the creation of the heavens and earth. Prophet Muhammad (peace be upon him) is reported to have said “Fifty thousand years before creation, Allah use to recite Surah Ta ha and Surah Yasin.” This means that various events were already decreed way before. The earth is very small and in order to gauge or compare it one must have an ‘outside’ view of it. For example, the first time Prophet saw the true form of Angel Jibreel was when he went on the Mir’aj. There he was outside the confinement of space/time. Allah has allowed the Qur’an to be accommodated on earth and He created the heart of Rasulullah to accommodate it. The Prophet was already a pious and special person before he became a Prophet, but it was the Qur’an that caused his status to be elevated. There are so many benefits to be derived from reading the Qur’an. It has the cure for everything. It also creates a connection with our Lord and it connects us with the nations of the past and even of the future. It is so unfortunate that we see believers; in particular youths limit their reading of the Qur’an. There are tremendous blessings that one can acquire not only in this world but also in the hereafter. Even listening to it has blessings. Align the vibrations of your voice with the vibrations contained in the Qur’an. Thank Allah for this blessing because no other creature has this opportunity. Read it often and enjoy listening to it being recited. Always keep in mind that the first thing that Allah commanded the Prophet (peace be on him) was to read or recite the Qur’an. Satan will endeavour to prevent the believers from reading the Qur’an, by keeping them, for example busy with Internet, entertainment, etc. But those who read it will benefit from the shade it will provide on the Day of Judgment, when there will be no other shade to save the people from the heat. Many of the pious believers read the Qur’an many times for the month. If one cannot read as quickly as they do, that does not mean to say that you will not benefit from the little that you may read; so every one should read something of that Great Book everyday. May the blessings of the Qur’an be with all believers. Be the first to comment on "The gift of the Qur’an"